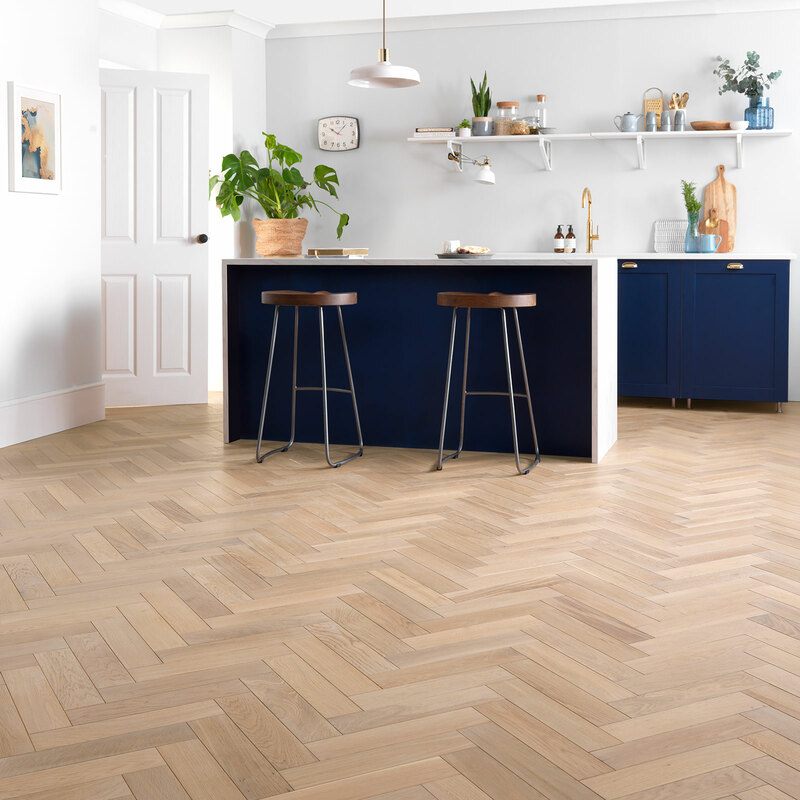 2019 Kitchen Trends: What’s in-style at the Heart of the Home? 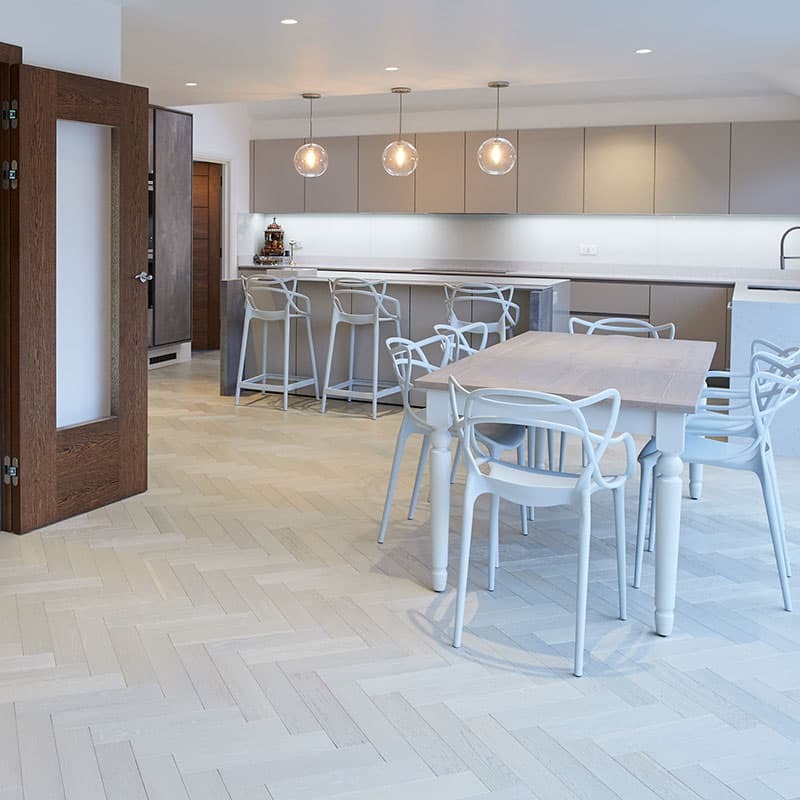 Sleek, minimal cabinets in neutral shades such as grey or taupe are being paired more and more with their opposite: rustic, natural flooring. In 2019, the handle-less, modern kitchen is still as relevant as ever but the space-aged look is a thing of the past. Our appreciation of contrast is growing: an openness to mixing modern and classic styles for a more welcoming feel. Natural wood softens practical kitchen units, contrasting with elegant integration to create a really inviting space. A step further than modern rustic is the kitchen that fully embraces a natural feel. In this modern age, we’re increasingly seeking connections from nature to create calm, inviting environments in our homes. Wood, stone, rattan and greenery come together beautifully in light and airy kitchens that feel underdone yet entirely in harmony. The concept is raw and unrestrained: a blend of organic, natural colours that inspire a feeling of ease and relaxation in the home. For the last few years, navy has dominated the kitchen design scene and its class still makes an impression. Choosing colour for such a big investment can feel scary yet navy is neither imposing or restricting. It’s a safe, timeless shade. With marble, quartz or wooden worktops, the effect is subtle and sophisticated. You can add your stamp by sticking to a minimal palette or introducing more colour – navy is just that versatile. From safe navy to its more daring sister…black. Being afraid of the dark is fast becoming a thing of the past with there being more than one reason for black’s comeback. The shade is subtle and dramatic all at once. It always adds contrast and yet needn’t define a room’s décor. 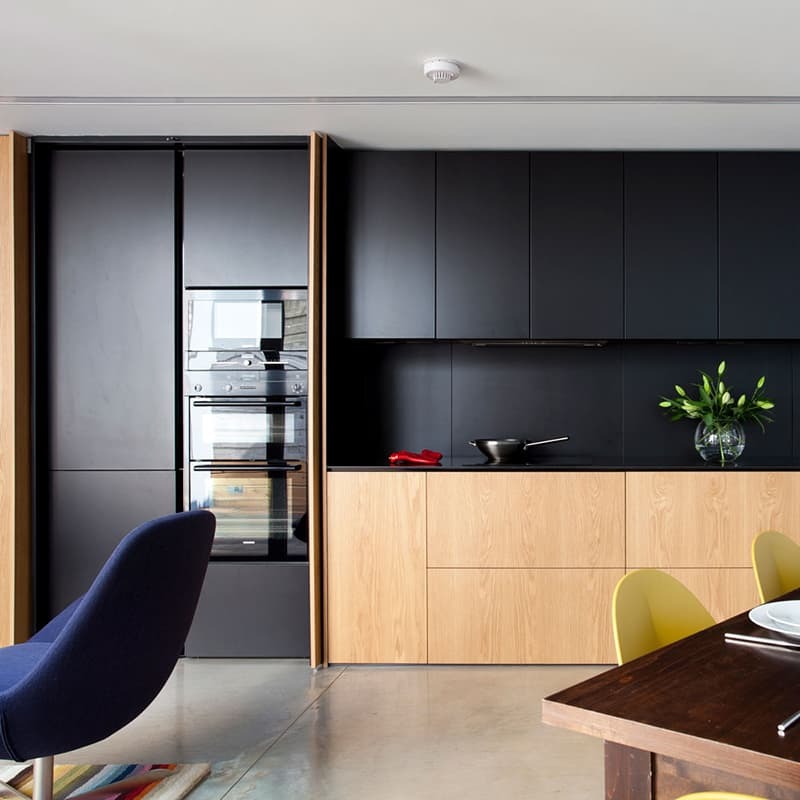 Whether it’s in the units, fixtures, furnishings or flooring, black can be brought into your kitchen in small or big ways. It pairs beautifully with natural worktops and white splash-back tiles; can be combined with any colour on the walls or in accessories. In a matte finish, it’s very much on-trend. Open plan living suits our lifestyles nowadays. The trend has been growing since the post-war years, as traditional formality has given way to more casual attitudes in the home. In this age, rooms are multifunctional and entertainment is all the time. As screens have become a constant presence, open plan living is more important than ever to help us stay connected with one another. With the trend towards bolder kitchens comes the vogue for stand-out tapware. 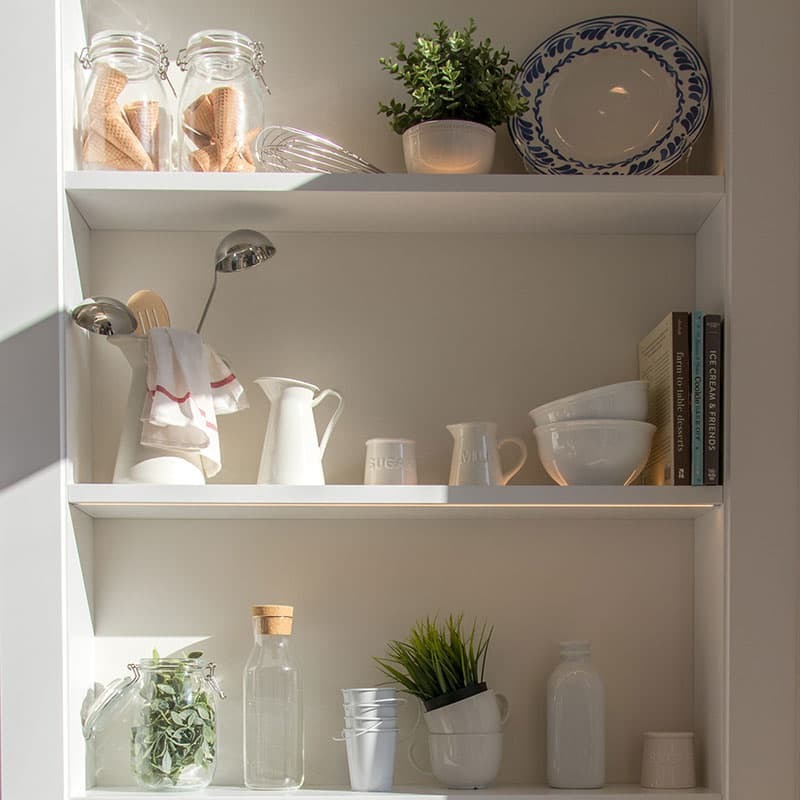 Beautiful fixtures and fittings take any house from good to great, and they’re especially noticeable in the kitchen. 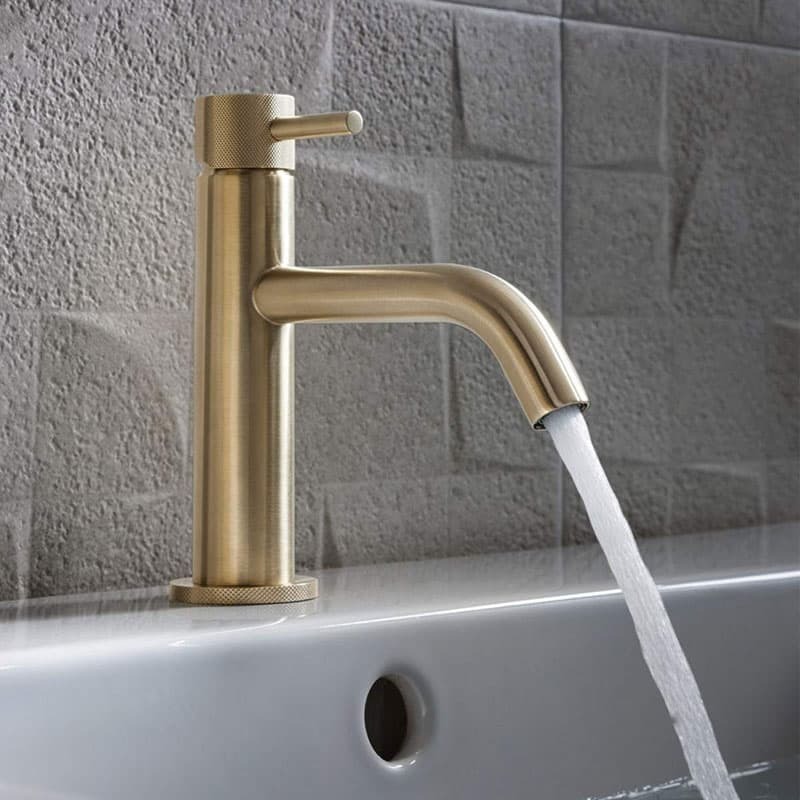 Matte black and brass taps are the styles to watch this year. More unique alternatives to the shiny chrome designs that we so often see, these finishes are sure to make your kitchen special, and turn the heads of guests. Once a rare novelty, these days sought-after. 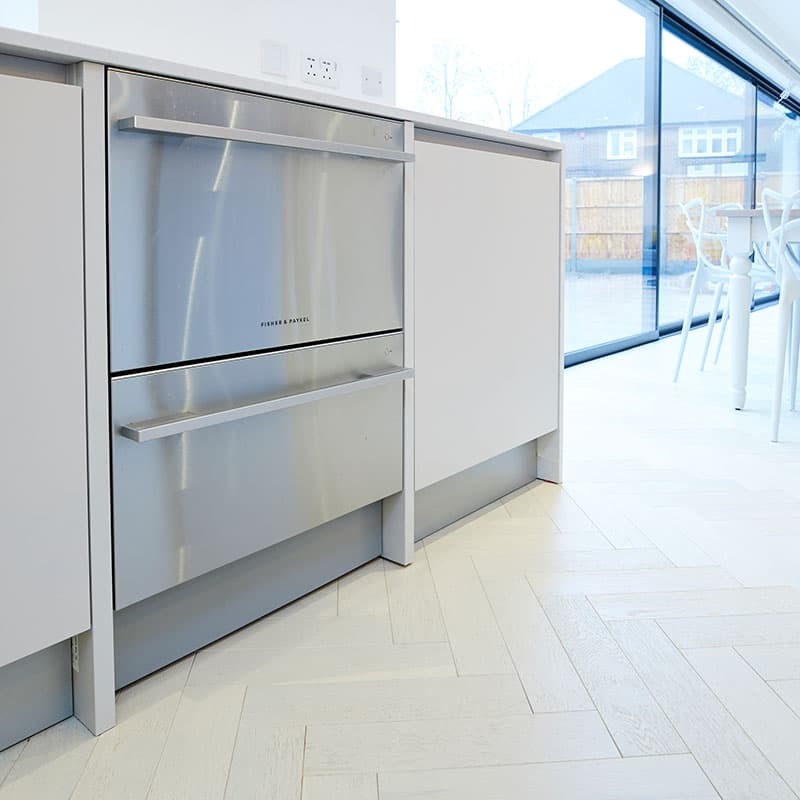 Underfloor heating really adds that luxurious touch to any kitchen. The benefits are many: energy efficiency, low running costs, freed up wall space, more even heating. 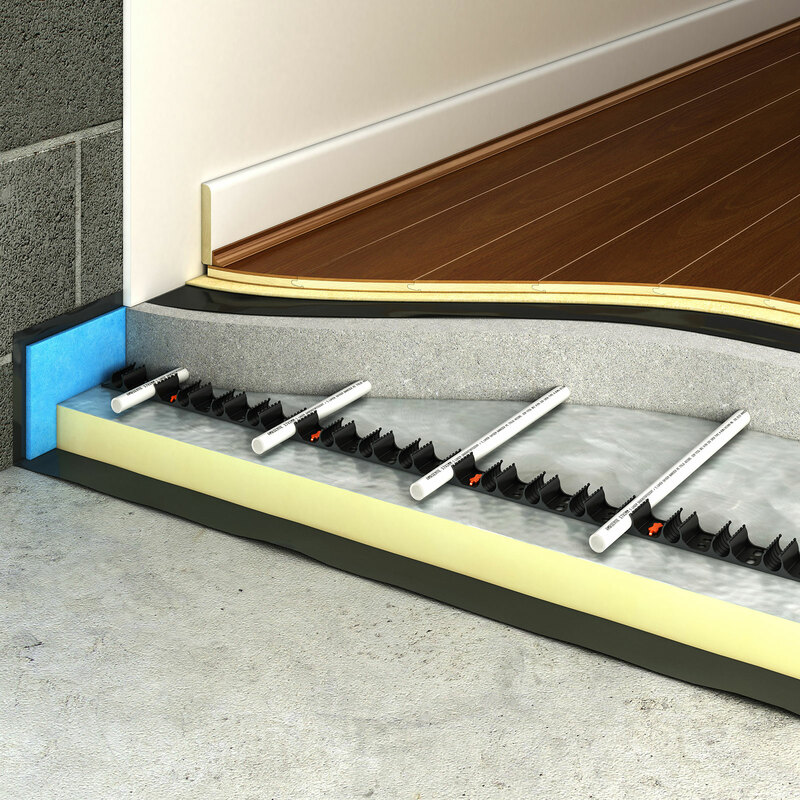 Above all, UFH helps to create a lovely cosy feel. 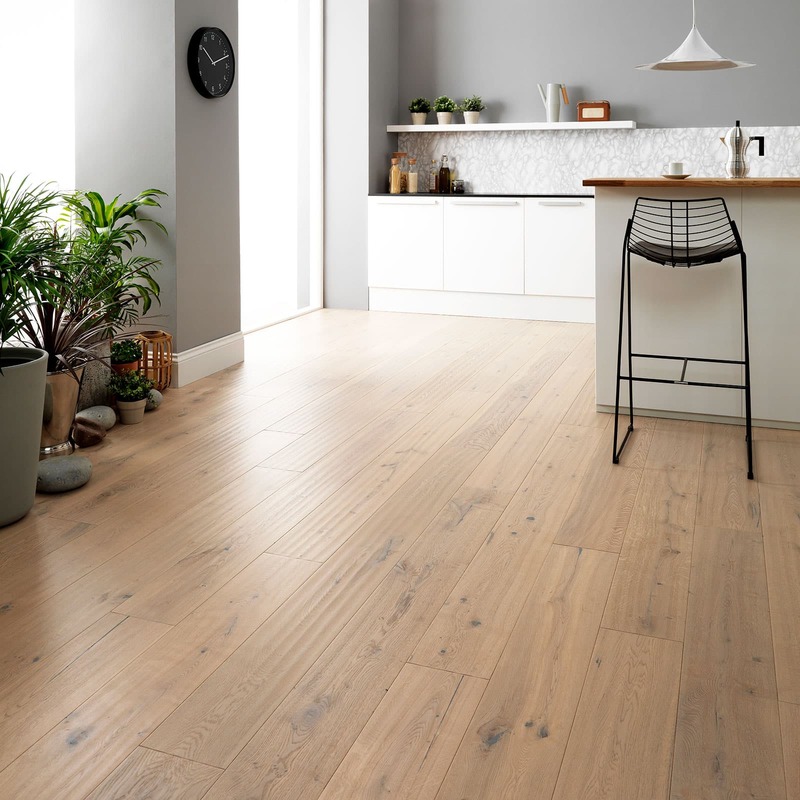 It’s compatible with trending natural floor materials too, for the perfect combination of comfort underfoot: see our guide on pairing underfloor heating with wood flooring. Three pendant lights hanging above a kitchen island or dining table – simple details that can really change-up your space. Lighting in the kitchen is no longer just about practicality. 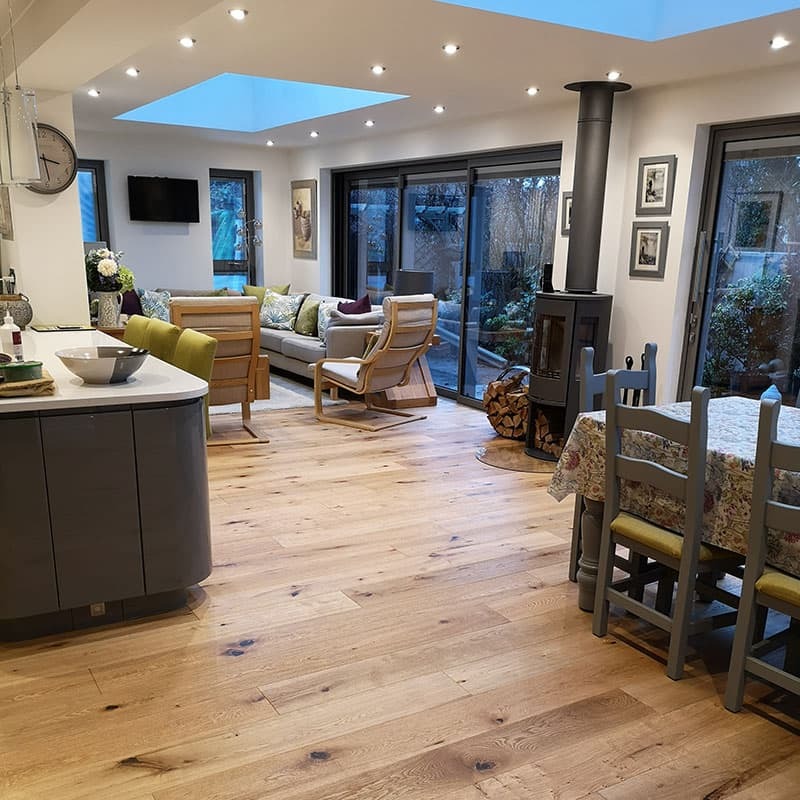 There is place for bright lights – under the cupboards and over food preparation areas – and there is equally a place for dimmer, more atmospheric pieces – above dining and entertainment areas. Pendant lighting has never been more at home in the kitchen. Rising in popularity are pared-back, elegant appliances that seamlessly integrate with the space: induction cooktops, handle-less models and smart controls; matte finishes and minimal details. Appliances are no longer just for function but for making an impression too. And last but not least, there really is no style without substance in a kitchen. Wide and deep drawers, pull-out racks, open-shelving, rails to hang pots and pans – these seemingly small features are so wonderfully practical. And this is where the kitchen island comes into its own: a multi-functional piece that offers another dimension to the space with even more room to store, prepare, eat and entertain.